Have you missed me? LOL!! It's been a busy week on my blog!! 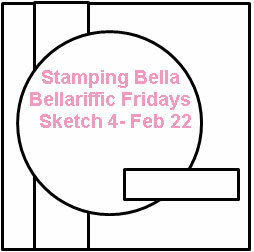 I'm super excited about next week's Stamping Bella release!! It's going to be a great one but I can't show you any peeks quite yet. In the mean time, I'll show you my card for this week's Bellarific Friday challenge. I had SO much fun making this card!!! I went on a shopping expedition for paper at my LSS and found this fantastic paper from American Crafts. LOVE IT!!! I decided to pair it up with "Uptown Girl Bunny and her Daffodil. The image was stamped in Versafine Onyx Black, embossed with clear embossing powder and then watercolored with Tombow Markers. Next week's challenge is "Bannerific". We want to see banners on your card!! 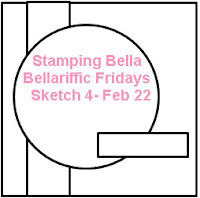 Email your entries to Emily at Stamping Bella by the end of Thursday February 28th to be in with a chance of winning some Bella Bucks. 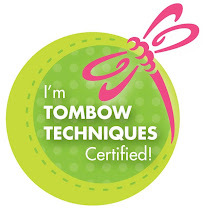 The water color flowers are perfect to compliment your sweetly colored image.